Robert Luff & Co are delighted to offer this three bedroom end terrace house located in Worthing. The property offers great living space and good sized rooms, a kitchen diner, south garden and garage located in compound. Tavy Close is located near to schools, shops and transport links. Internal viewing is advised. Part obscured double glazed front door, radiator, stairs to first floor. Large double glazed window to front, feature open fireplace with wooden mantle, slate surround and hearth, radiator, access to kitchen/diner. Measurements to include built in units. Range of matching floor and wall units with inset one and half bowl ceramic sink with mixer tap over, space and plumbing for fridge/freezer, washing machine, dishwasher and tumble dryer, part tiled splashbacks, boiler housed in cupboard, cupboard understairs offering storage space and housing gas and electric meters, double glazed window to rear, full height double glazed patio doors to garden, radiator. Double glazed window to front, storage cuoboard housing hot water tank, radaitor. 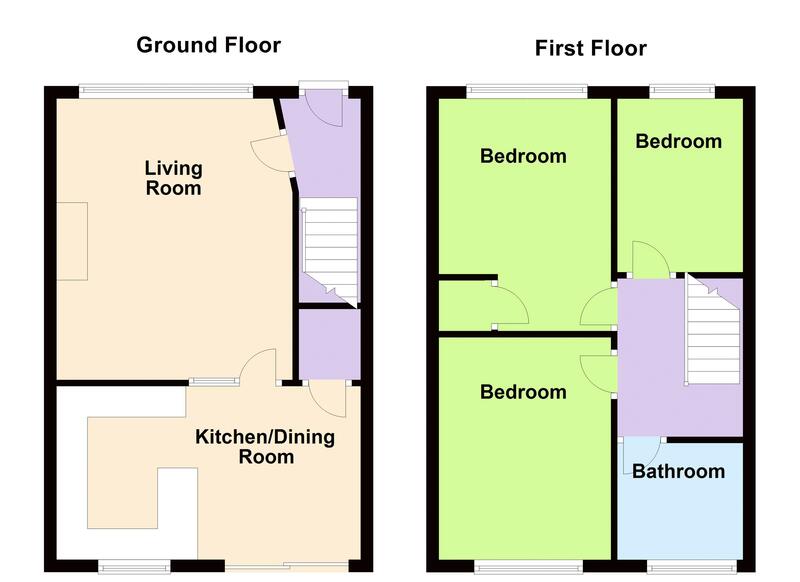 White bathroom suite, P shaped bath with mixer tap and shower screen over, low-level w.c, pedestal hand basin with mixer tap over, obscured double glazed window to rear, tiled walls and floor. Shingle area, stone path to front door, flower and shrub borders. Located in compound, access via Tavy Close, up and over door, pre-fab construction. Mainly laid to patio, raised decking area, shed, flower and shrub borders, side access from front of the property.